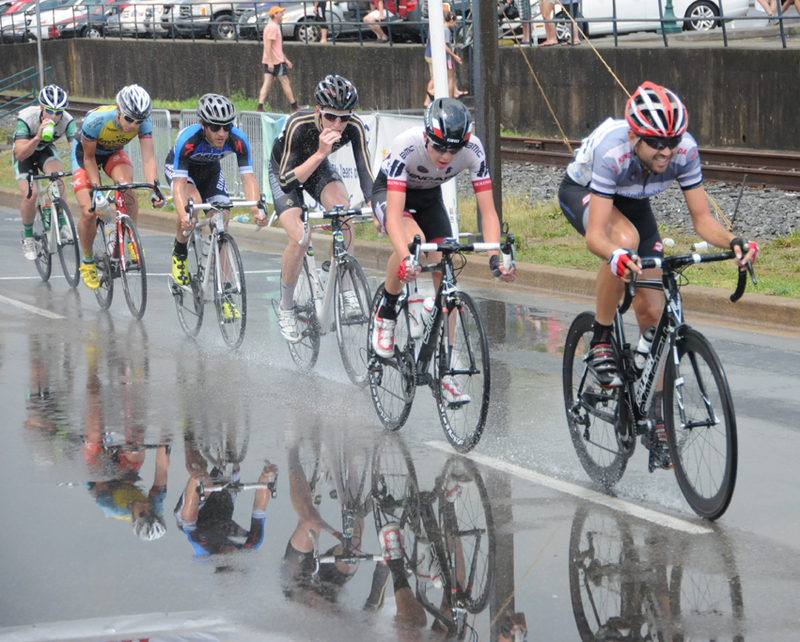 This past weekend we again had split squads racing at Tulsa Tough, the SC State Road Race and the Johnson City Omnium. In Johnson City, we had a small squad, consisting of Andy Scarano, Max Robb, and Myself. Sully wasn’t able to make it to the race after being sick all week. The Johnson City Omnium is a tough race with the road race finishing on a 7 mile climb, a hilly time trial, and a tight technical crit. The road race started aggressively with a flurry of attacks within the first five miles. Andy rode into a break with some of the stronger riders in the field in the first hilly section of the course. This was the winning break that stayed away for the remainder of the race. The field was still motivated and attacks to bridge kept coming, which held the break within two minutes. I attacked with Brian Sheedy and Nick Jowsey and we were able to bridge up to the break on the final highway segment before the climb. The break all started the climb together and it slowly split up on the slopes. Jimmy Schurman (Champion System p/b Stan’s NoTubes) got away from me on the climb for the win. I took second for the second year in a row and Andy rode strong up the climb after being in the break all day for 6th. Max had a solid finishing climb to finish with the field. The Raleigh bikes handled the climb well, being both light and stiff, especially with the complete Thomson cockpits and Masterpiece seatposts. In the time trial, Brian Sheedy took the win and I again took second by less than a second. 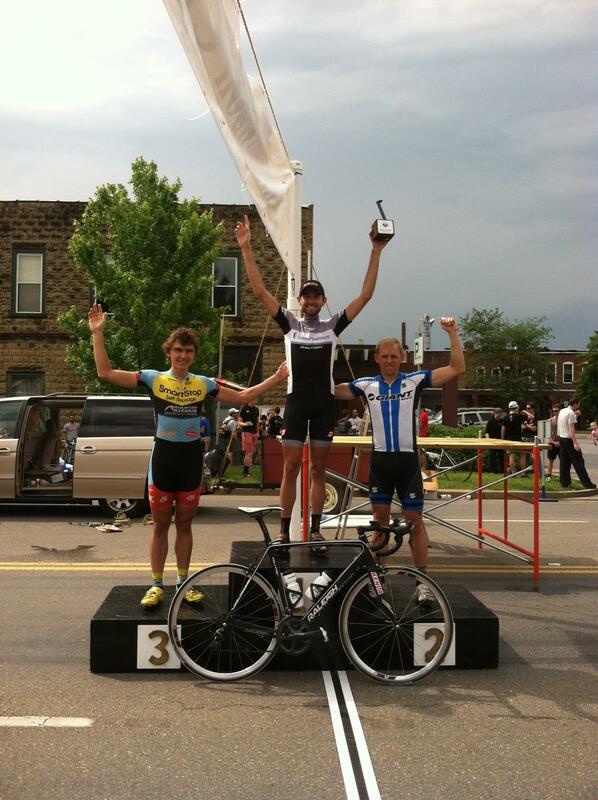 I now had the overall lead in the omnium heading into the downtown crit. The tight, technical crit started off quickly. Andy and I moved to the front with a light rain beginning to fall. About twenty minutes in, it started to downpour, making the course super slick and causing several crashes. The Kenda Tires hooked up well in the rain on our Industry Nine race wheels. I was able to make the split of six riders off the front, including Sheedy, who was sitting in second in the omnium. Our break lapped the field with seven laps remaining, and despite several attacks, it came down to a field sprint. Chris Uberti (UCI CT: Team SmartStop p/b Mountain) took the win and I sprinted to 5th and Andy took 11th. I held enough points to win the overall GC over Sheedy and Uberti. Andy finished the omnium in a solid 7th. Another great weekend of racing for the team! Here’s a link to the local paper’s write-up of the race.